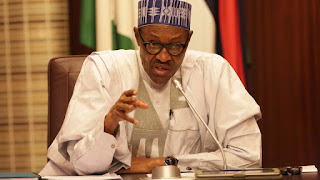 President Muhammadu Buhari has directed all state governors to ensure payment of outstanding salaries and other allowances owed workers in their various states before the forthcoming Christmas celebrations. This, the President noted, would allow the workers have a beautiful Christmas celebration. Governor Rochas Okorocha of Imo state, confirmed the presidential directive while speaking with state house correspondents after a meeting with the president in Abuja on Monday. The president expressed specific concern for Nigerians without any other source of income apart from their salaries and still have to feed their families, pay school fees and their house rents. “It was a brief meeting between the governors of Nigeria and the President of the Federal Republic of Nigeria,” Okorocha said. Nasir el-Rufa’i of Kaduna state , also addressed newsmen on the outcome of the meeting as it relates to the balance of the Paris Club refund which the governors are expecting to be paid by the federal government. “The Paris club figures need to be reconciled. While the reconciliation process was going on, the president approved that 50 percent of the original amount be paid to the states. The payment started from last year,” he said. “We still have the balance of the first 50 percent. “This is what the president said should be paid to state governments to meet their obligations before Christmas because he’s concerned that many families depend solely on their salaries to pay for rent, for the festive period. That had been decided. 0 Response to "Buhari orders governors to pay workers’ salaries before Christmas"